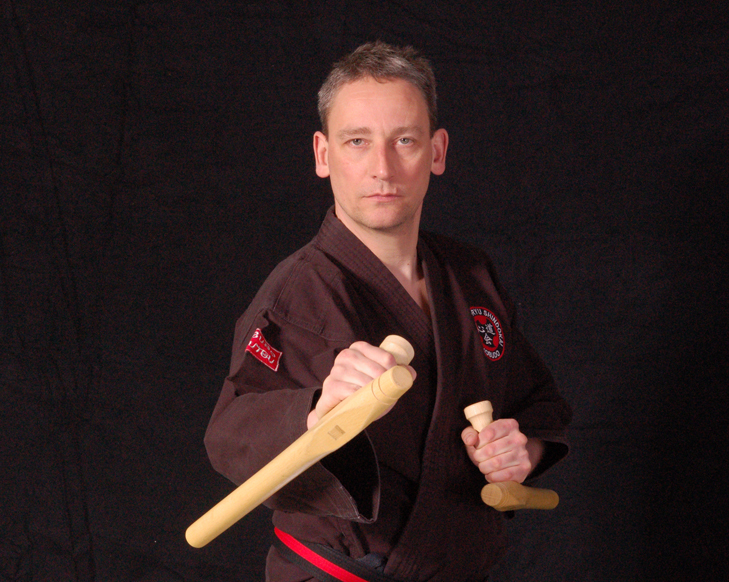 Kobudo is taught by Shihan Olaf Lotze-Leoni and is an collection of traditional weapon systems of Okinawa. 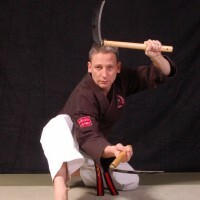 Kobudo, in times past also called Kobujutsu, stands for weapon techniques and systems originally developed in Okinawa. 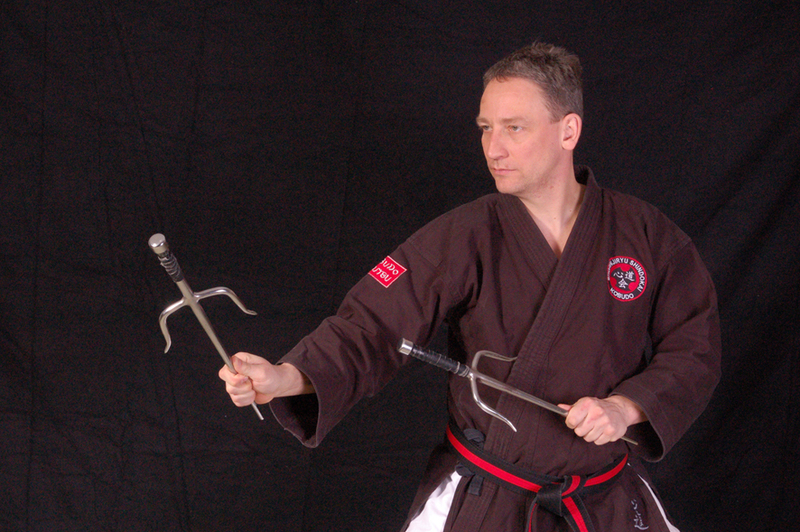 Kobudo means “little budo” or “old budo”. 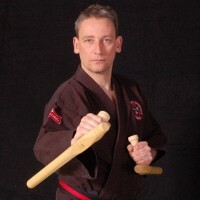 The Bo or Kon is the most widespread weapon and impresses with its versatile application and a great number of kata and partner exercises. The Bo originates in the carrying staff of farmers or the shepherd’s crook used to fend off wild animals. The metal Sai consists of three prongs of which the middle one is the longest and the two at the side are short. 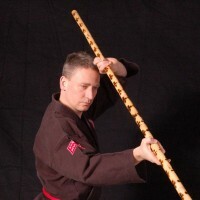 The Sai is used for thrusting, stabbing, striking as well as in locking and throwing techniques. Mostly it is used against Bo and sword. Similar as with the Bo, there are a lot of Kata to be learned with the Sai. The Tonfa is made of wood and goes back to / used to be the handle on a millstone used for grinding rice. Nowadays it is also used quite often in self-defence. It can be used as a punching, locking or striking weapon, but especially the swinging techniques show the wide variety of this weapon. 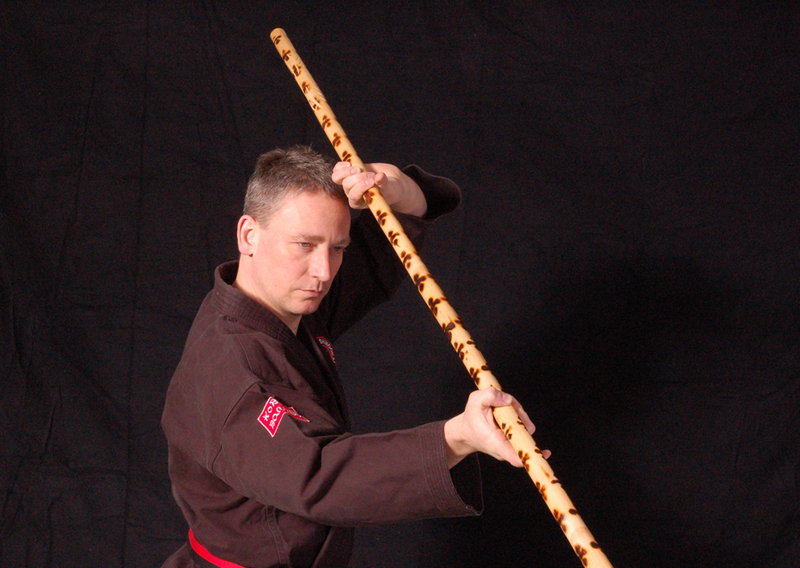 There are several traditional tonfa kata with very different applications. The Kama is made of a piece of stick with a mounted sharp blade. 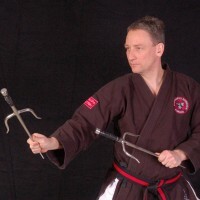 Techniques of the Kama are punching and cutting techniques to vital points to render the opponent unable to fight. As the name indicates, the Nitanbo consists of two short sticks at about 70cm of length. The techniques of this weapon evolved out of the necessity to keep fighting even after a staff was broken in half. It is strongly influenced by countries such as Indonesia and the Philippines. The main elements of training are Kata and their application as well as practical application in self-defense. 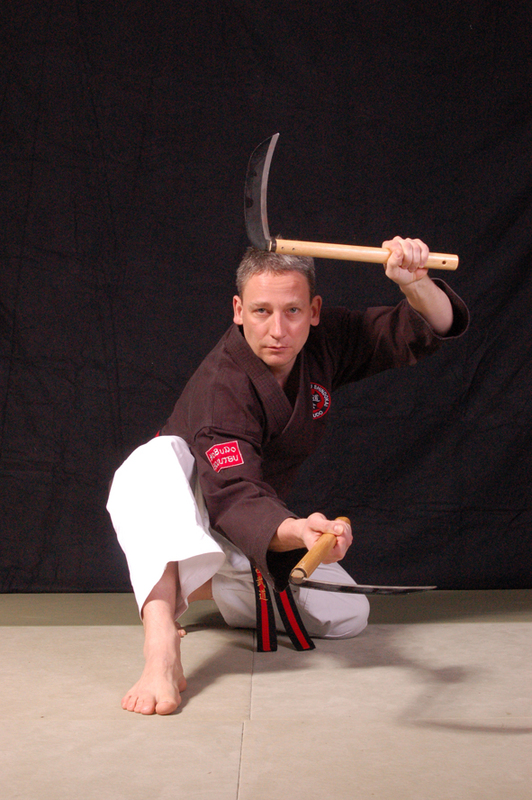 Kobudo is a special challenge in handling traditional Japanese weapons. At the same time it’s an excellent addition to weaponless martial art and a must for every Karateka. Also philosophy and culture of this old martial art is being taught in the Dojo. It’s always possible to organize seminars with Sensei Lotze-Leoni. 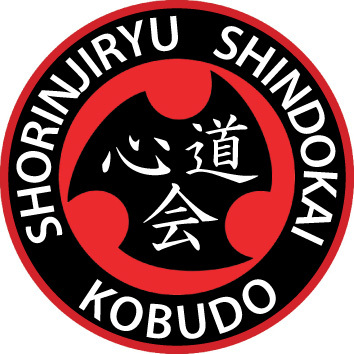 The Shindokai Dojo is one of the few schools who offers competent Kobudo in Hanover and the greater Hanover region.